The emphasis with this service is on ensuring that you have clothes that fit and flatter that suit your lifestyle now. It is to ensure that the clothes you buy in future fill any gaps in your wardrobe and allow you to make several outfit combinations from each key piece. This is a skill that some people have naturally and for others, it must be learned. When you begin to build your wardrobe in this way, you have an outfit for each occasion. You no longer have to shop in a rush and make inevitable buying mistakes. You no longer need to over buy, because you are buying what you need rather than making purchases on a whim. I will always try to use your clothes to best advantage, creating different outfits from them, before I suggest you purchase anything new. In many wardrobes I find unworn clothes, that my clients feel guilty about. I also find clothes that have been bought a size too big, or a size too small. We will look at how you store and manage your clothes, including simple storage solutions. We can declutter if you wish. We can meet at your home if it is within easy travel distance for me, or you may come to my studio with your clothes and we can review them there. This works very well for many clients. 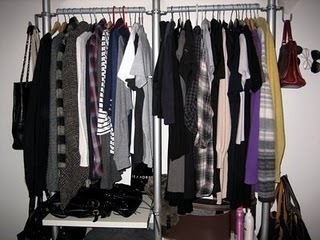 If there are a large number of clothes to be dealt with, an initial phone consultation can ensure that we make the whole job as easy as possible for you. I know that wardrobe analysis is one of my areas of expertise and will be delighted to help you if I can. Please call 086 8077123.